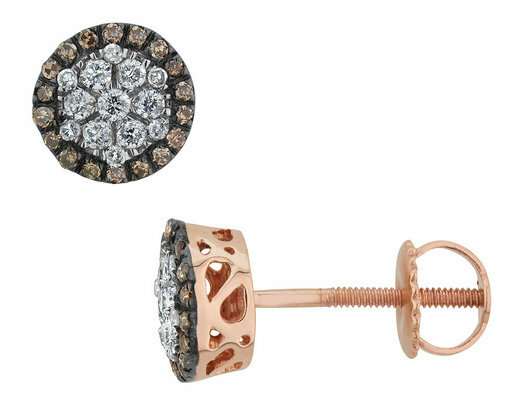 Polished 10 karat rose gold sets the stage for these brilliant champagne and white diamond cluster earrings. Each earring features a beautiful cluster of white diamonds surrounded by a shining border of champagne colored diamonds, for a total carat weight of 0.27 (ctw). They measure 0.25 inches across and fasten securely with screw back closures. Matching pendant is available.